Celebrating Leeds International Festival, the Merrion Centre proudly welcomes; The Grief Series Presenting All That Lives from the 6th – 11th May 2019 (Closed on the 8th). 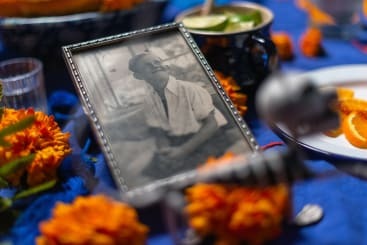 Whether it’s David Bowie or your grandmother, The Grief Series asks people to contribute memories and offerings to Ofrendas – shrines inspired by a Mexican tradition. You can create and add artwork to the installation here at the Merrion Centre. Or maybe you would like to offer food, drink, flowers or simply sit back enjoy the whole experience. From 10am – 6pm each day you are invited to join the FREE event with renowned artists from Mexico’s The Faro De Oriente and Ellie Harrison to view the collaboration. 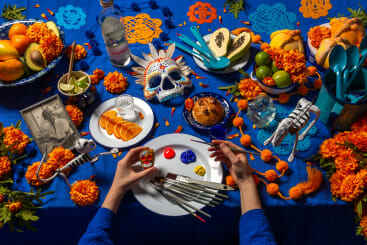 All That Lives Ofrenda Building and Installation will be held at the Merrion Centre on Merrion Way (Directly opposite the Arena) FREE ADMISSION. The All That Lives Feasts will also be held at the Merrion Centre on Friday 10 May, 18:30 – 20:30 – CLICK HERE for tickets.